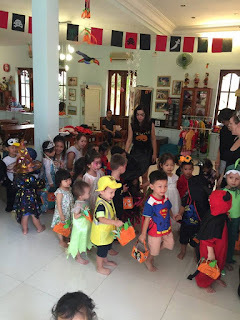 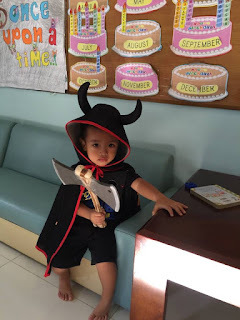 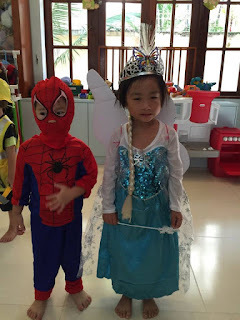 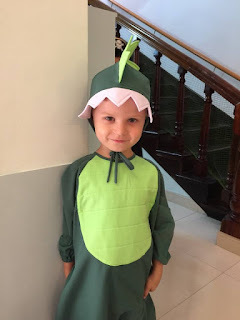 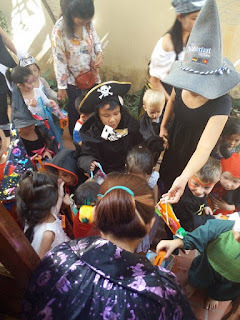 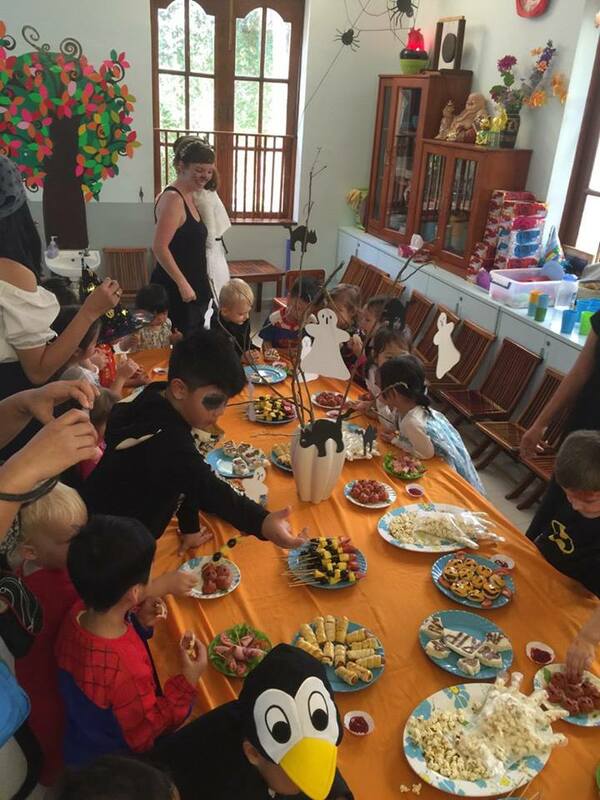 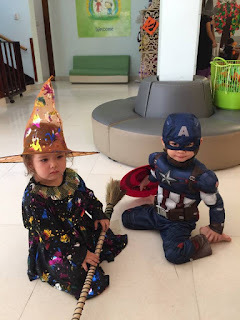 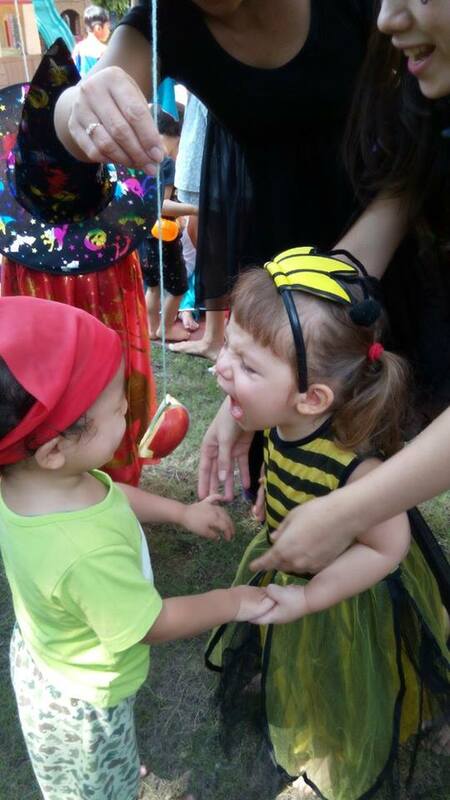 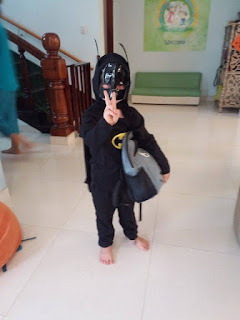 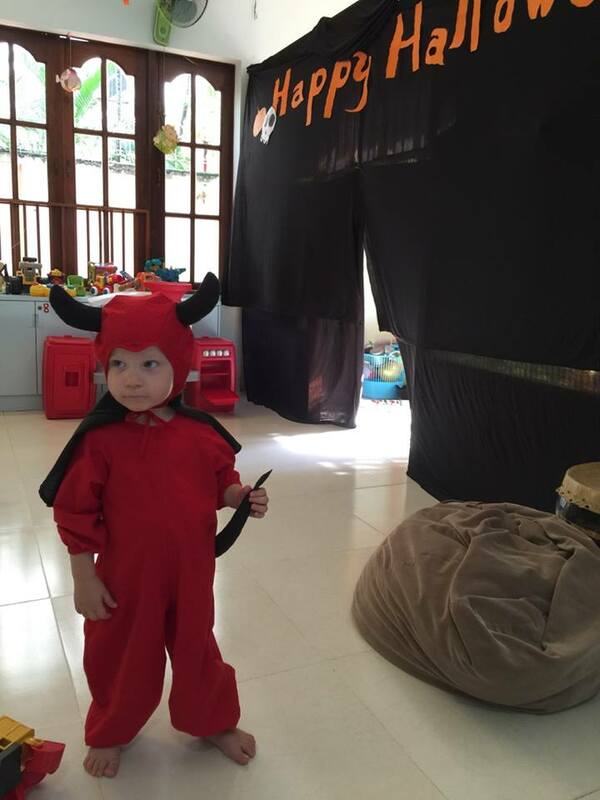 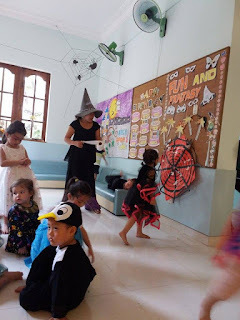 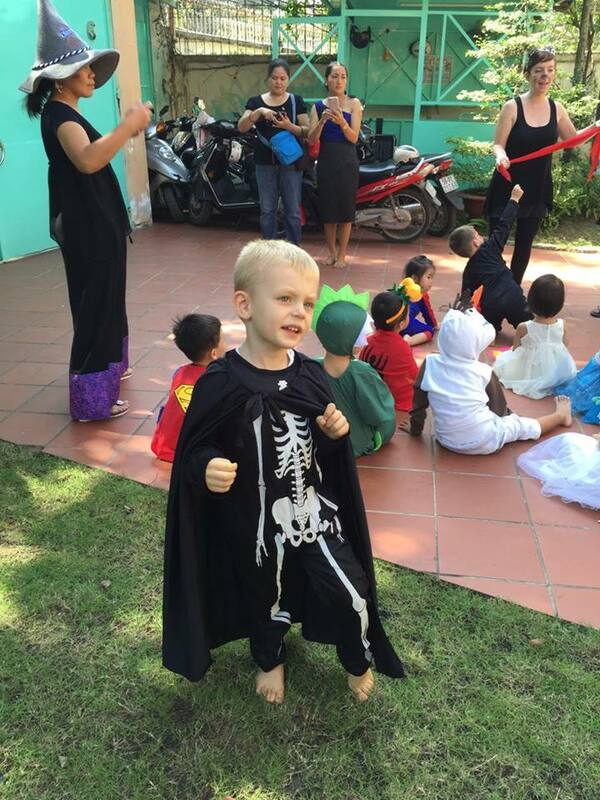 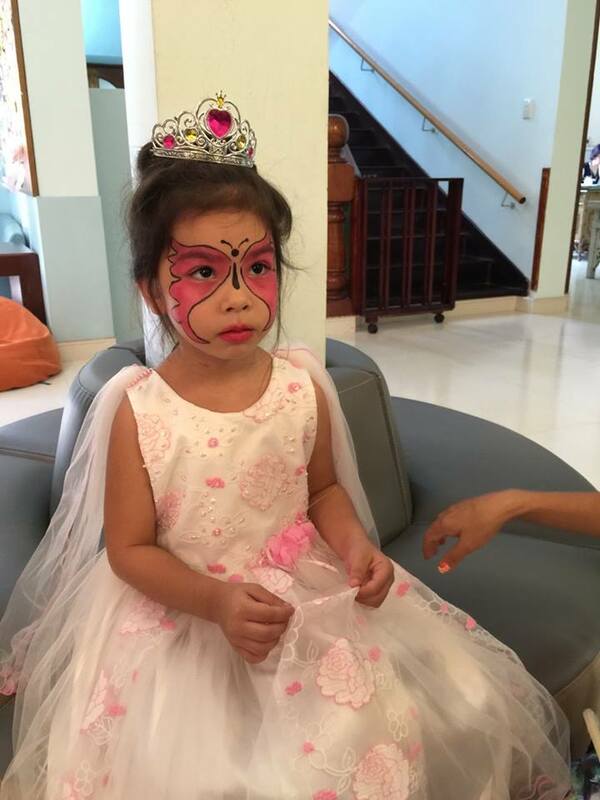 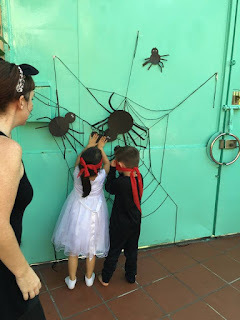 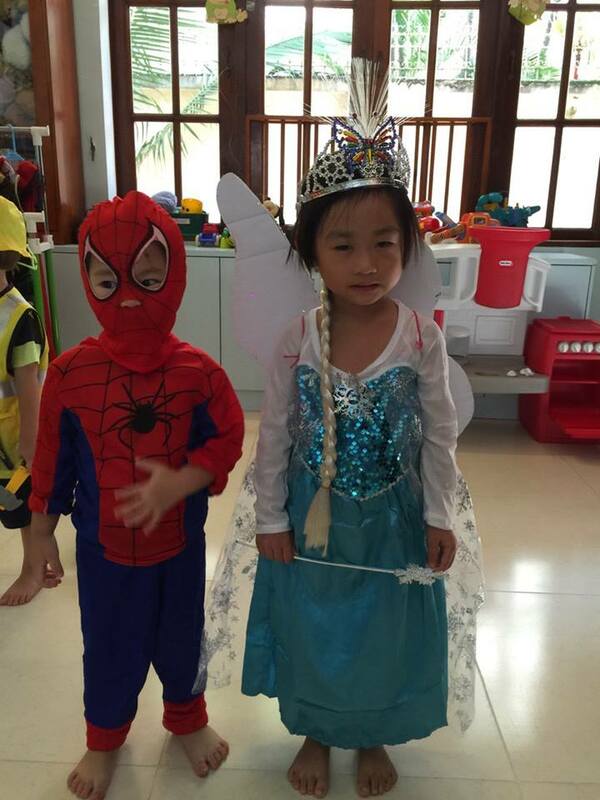 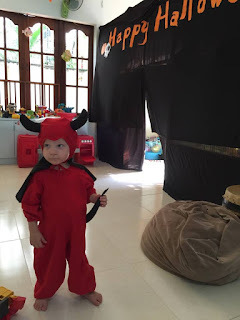 We were overwhelmed by the effort that went into the costumes this year and we welcomed scary witches, action figures, a ghost, a penguin, a bumble bee, princesses, fairies, a dinosaur and a devil. 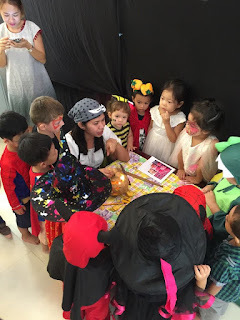 Ms. Ken showed us how to carve a pumpkin with the eyes, nose and mouth and she placed a candle inside to give the full haunting effect. 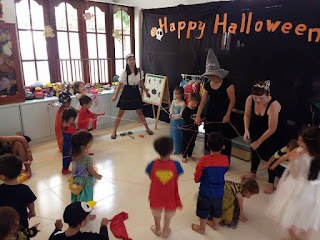 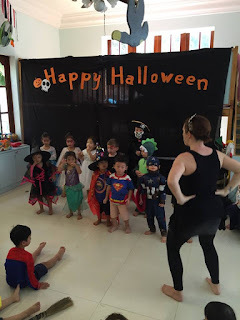 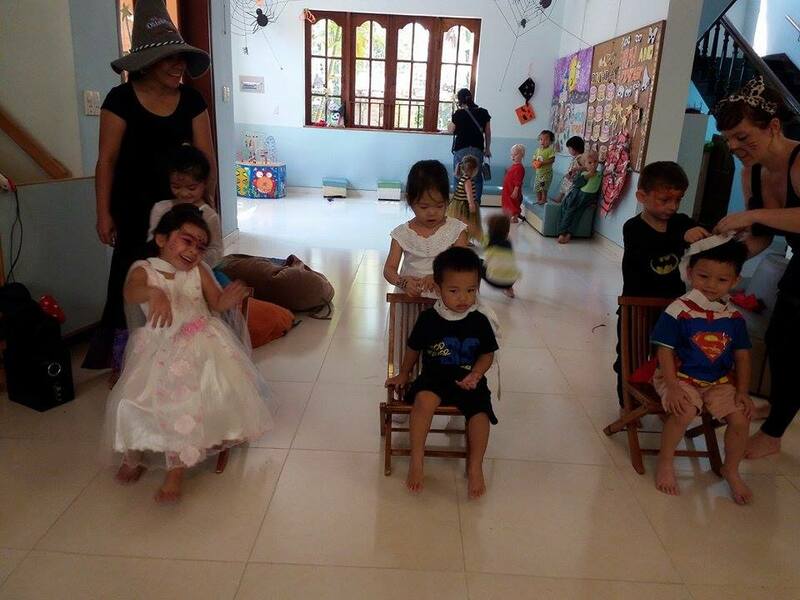 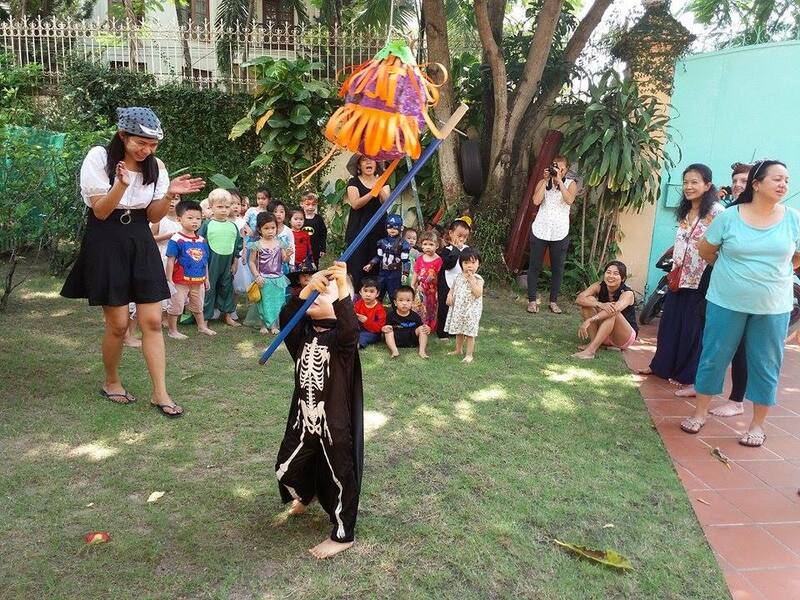 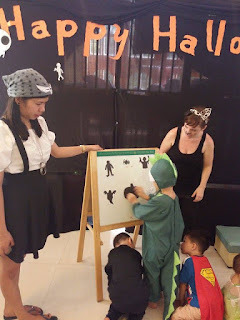 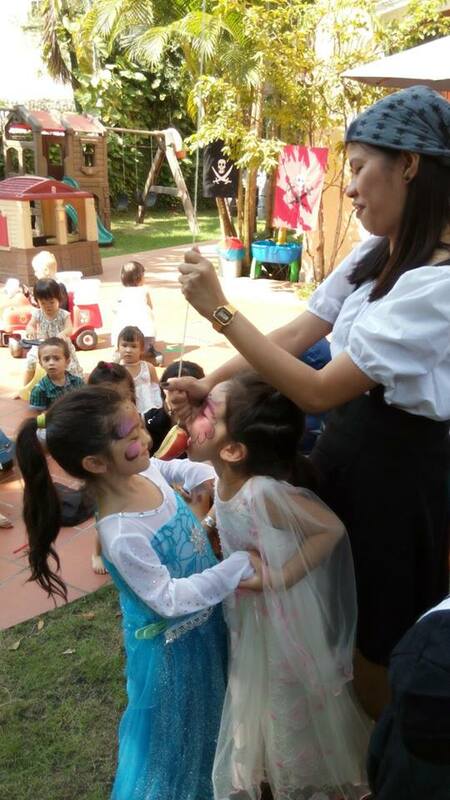 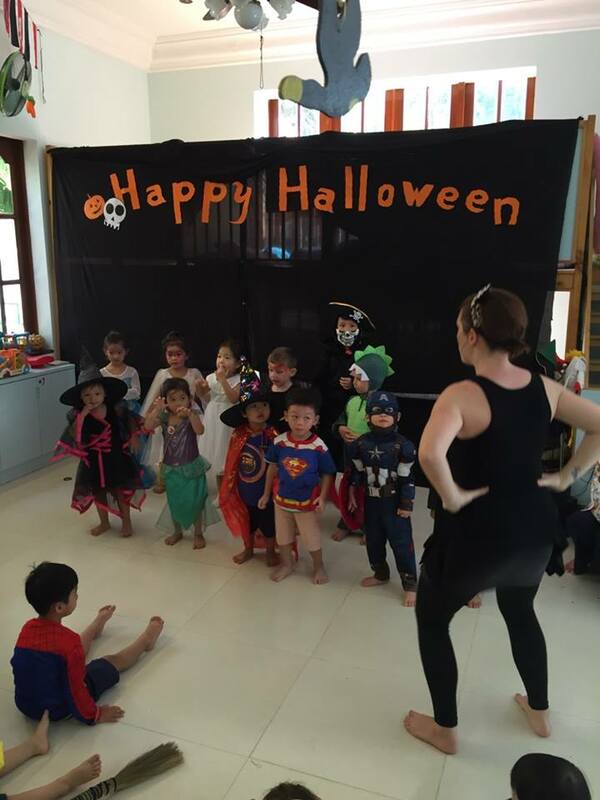 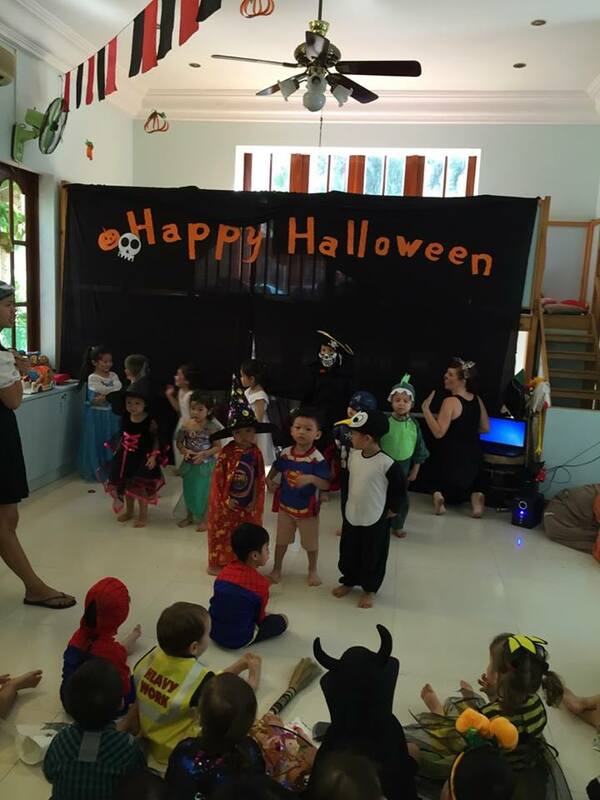 The Young Explorers and Young Learners put on a lovely performance of their Halloween songs, complete with all the actions. 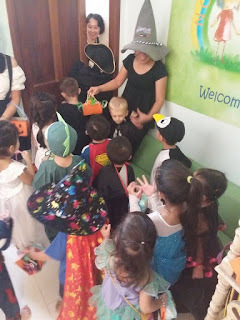 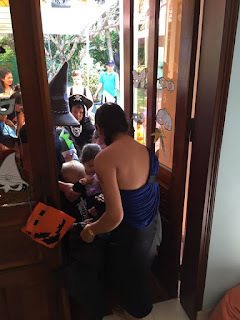 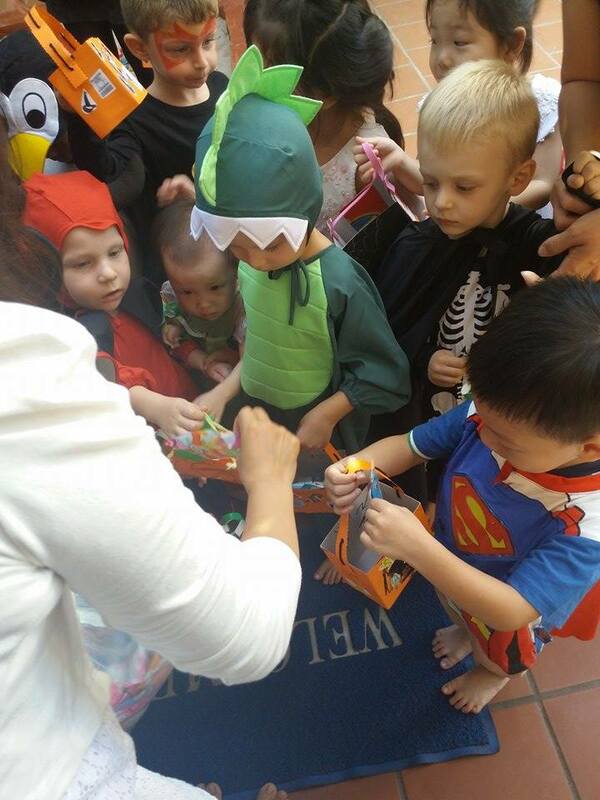 The Children couldn’t wait any longer to trick or treat around the school and we sang our song ‘Knock Knock Trick or Treat’ with every door opening to put candy in the Children’s handmade bags. 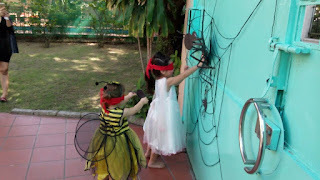 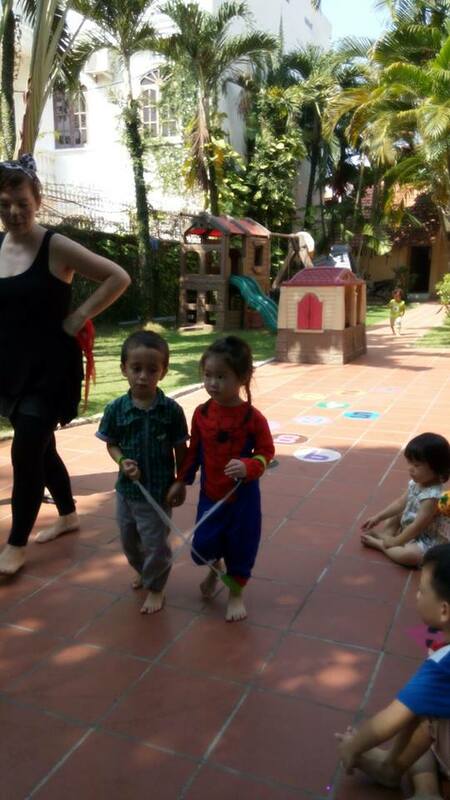 Our outdoor games were played eagerly and included sticking spiders on a web while blindfolded, a zombie 3 legged and 3 armed race and a joint apple eating contest. 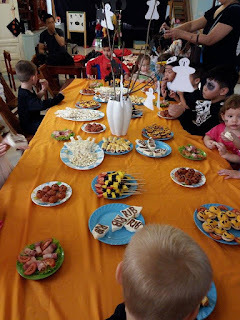 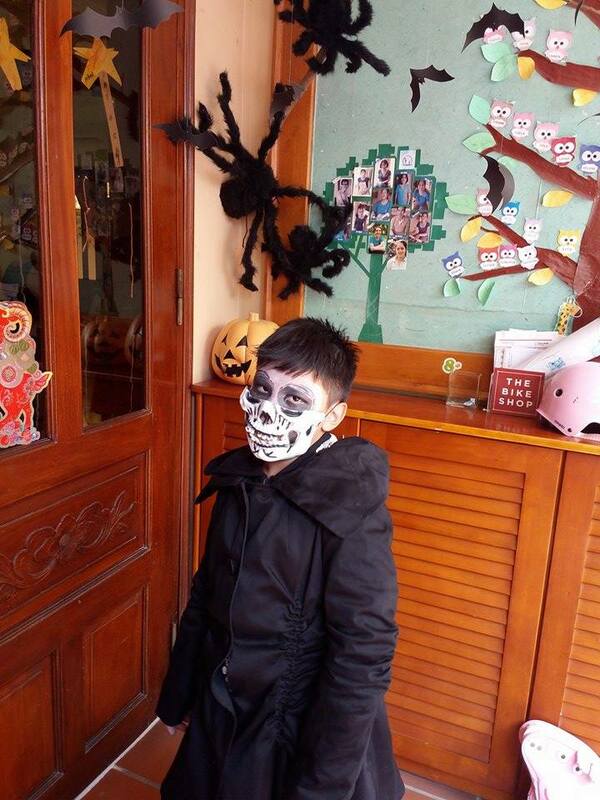 Once inside, we had ‘dress the Zombie’, ‘cross the web' and the piñata outside was knocked down by the force of many of the Children with plenty of treats to go around. 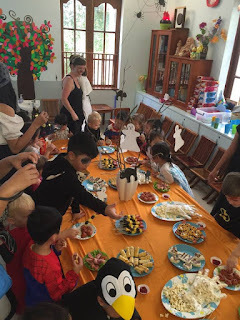 After all the activities and games, we were so hungry and really enjoy the buffet lunch with a lot of foods. 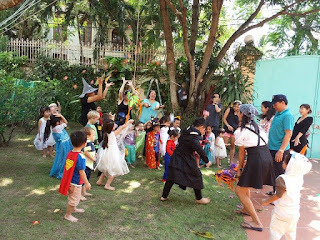 A magical, creepy, haunting and extremely fun Halloween party was had by all!